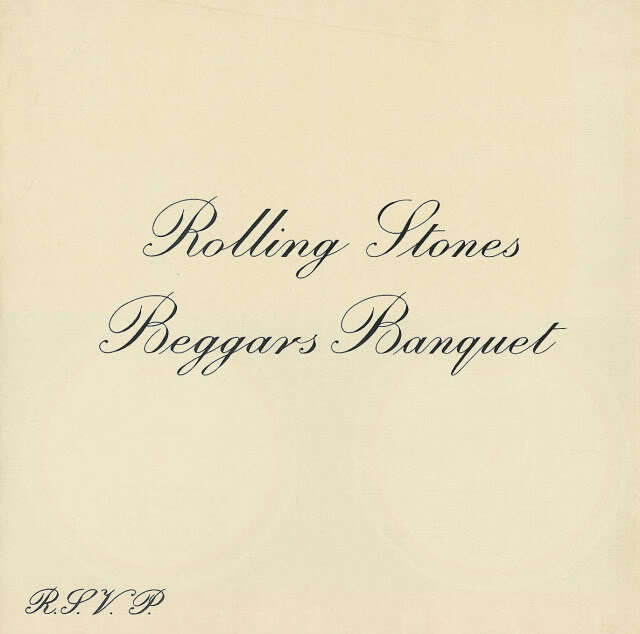 The Rolling Stones album “Beggars Banquet” was released on Decemeber 6, 1968 in a plain white cover imitating an invitation card, complete with an RSVP. 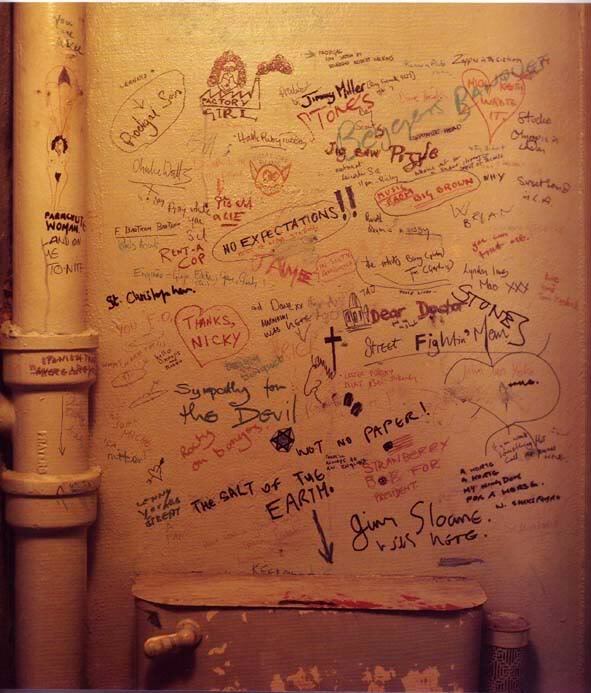 The reason for the plain album cover was because the original album cover (a graffiti covered bathroom) was rejected by both Decca Records in England and London Records in the United States. 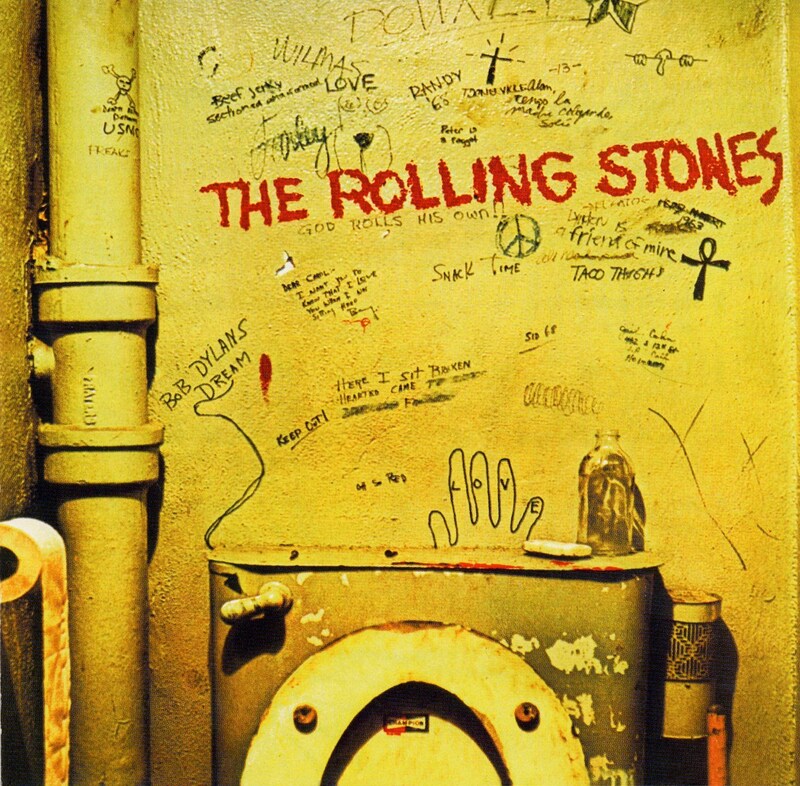 The band initially refused to change the cover and after several months of delays, The Stones eventually gave in and released the album with the plain cover. The front cover having already been photographed, the designers “gave Mick and Keith crayons and felt pens and they wrote the credits and everything else on the back cover. That location is almost certainly wrong–that same building has been there since the mid-60s and then as now is a men's clothes outlet. Don't see any way that a garage could have been in there. I suspect that "above Hollywood & Cahuenga" means "north of Hollywood & Cahuenga" but even that doesn't make too much sense (there's not too many places on Cahuenga north of there that could have been a garage). 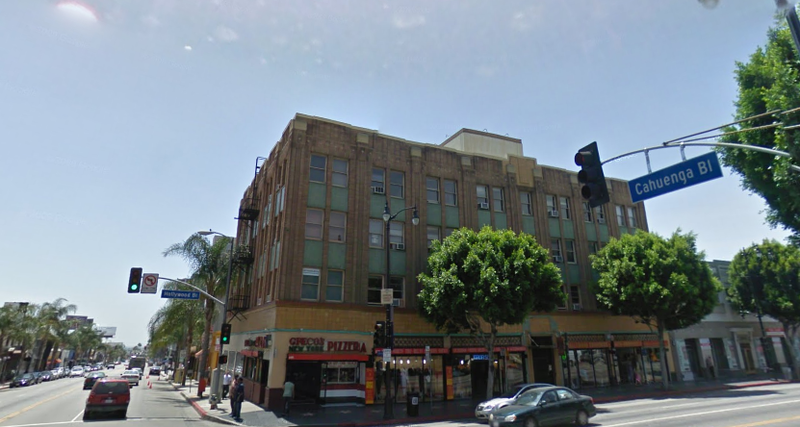 Other accounts differ on whose Porsche mechanic it was…I'd guess that it was a Porsche mechanic on Cahuenga somewhere _in_ Hollywood…will see what I can track down from my friends who lived here then, are car nuts and Stones fans (I'm seeing two of them tonight :-). thanks. i’ve been trying to get the exact location as well. it’s a starting point. let me know and snap a picture if you can. Will Ferrell "Blades Of Glory" Sampled For Kanye West Jay-Z Song "Niggas In Paris"